The coronation of Edward the Elder at Kingston-on-Thames in AD 900. Illustration by R.C. Woodville (c.1850). The politics of tenth-century Britain were dominated by an English (‘Anglo-Saxon’) royal dynasty descended from Alfred the Great. Alfred ruled Wessex, the kingdom of the West Saxons, but his descendants expanded the kingdom until it grew into what we now know as England. The ambitions of the West Saxon dynasty inevitably brought it into contact with the kings of Strathclyde, with whom it had a stormy relationship throughout the tenth century. Dealings between the two kingdoms are studied in detail in Strathclyde and the Anglo-Saxons in the Viking Age, especially in the book’s four central chapters, but I’ll use this blogpost to give a basic summary in the form of a diagram. The image below is a partial ‘family tree’ of Alfred’s descendants in the tenth century. Recorded dealings with Strathclyde are noted under the names of the individuals concerned, all of whom (except one) were kings of Wessex. 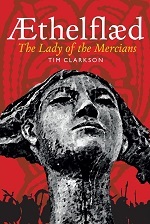 The exception was Aethelflaed, Alfred’s daughter, who ruled the former kingdom of Mercia as a semi-independent region. Non-hostile relations, such as peace-treaties and alliances, are marked in green. Hostile relations, such as invasions of Strathclyde, are marked in red. This entry was posted in Treaties & alliances, Warfare and tagged Strathclyde, West Saxons on August 28, 2014 by Tim. “an English (‘Anglo-Saxon’) royal dynasty”: or “German”, frankly. But non-Frankly. Perhaps ‘Germanic’ – but even this label is wearing pretty thin by AD 900 (for the Franks as well). Surely the West Saxon dynasty had a major British component to it, with Kings such as Cerdic, Caewlin, and Caedwalla. It’s clear that Wessex coalesced from a number of smaller kingdoms, some of which seem to have been British. Geoffrey of Monmouth (for what its worth) even seems to have included West Saxon kings in his History of the Kings of Britain. Yes, I think Wessex emerged from a mish-mash of smaller units, but whether these were British or Anglo-Saxon is a difficult question. I tend to see ethnic identities as quite fluid and flexible in the 5th/6th centuries, with people adopting whichever identity best served their own needs. One theory envisages large numbers of Britons rejecting Britishness in favour of ‘Englishness’ and giving their support to Anglo-Saxon elites. This would explain the widespread adoption of the English language and would also accommodate odd relics of Britishness such as personal names like Cerdic. The laws of King Ine imply the presence of ‘Welsh’ people in eighth-century Wessex but I imagine these were recently conquered Cornish folk. By the ninth century, I imagine the West Saxon royal families thought of themselves (and their ancestry) as thoroughly English. The whole question of how we got from being ‘Britons’ to being ‘Anglo-Saxons’ is a difficult one, I find, and one that doesn’t seem to have a satisfactory answer. The idea that people would simply give up their identity and their language is so counter to everything that we see happening in real life that it is hard to imagine it happening then. But the old idea, that the Brits were wiped out or driven out is also impossible to believe, simply from a logistical point of view, quite apart to an aversion to genocide. Actually this question is the main reason I’m interested in this period nowadays. Once I was just interested in tracking down King Arthur, but now he’s firmly on the back burner! My route into early medieval history started in a similar way – with an interest in the ‘Historical Arthur’. That was thirty years ago, and I’ve long since left Arthur behind. I find the other stuff – the real history and archaeology – far more interesting. 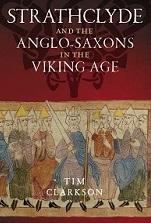 The transition from Britons to Anglo-Saxons is discussed in a very useful collection of papers edited by Nick Higham – Britons in Anglo-Saxon England. Another good discussion of the various processes and possibilities can be found in Guy Halsall’s Worlds of Arthur (which you may already have).